Home » News » Which Cryptos Are Better for Online Sports Betting? Punters can choose from several cryptocurrencies that they can use to wager on most sports betting websites. Each altcoin provides faster transaction speeds, low fees, and the option for anonymous playing. Despite their similarities, every altcoin has unique characteristics that make it suitable for certain bettors. Here are five altcoins commonly used in online sports betting, along with the best and worst reasons to use them. The first decentralized cryptocurrency is the most common crypto payment in sportsbooks. Bitcoin gained worldwide recognition because of its volatile value that rapidly increased from US$1,000 to nearly US$20,000 last year. The biggest advantage of Bitcoin over other cryptocurrencies is its availability. 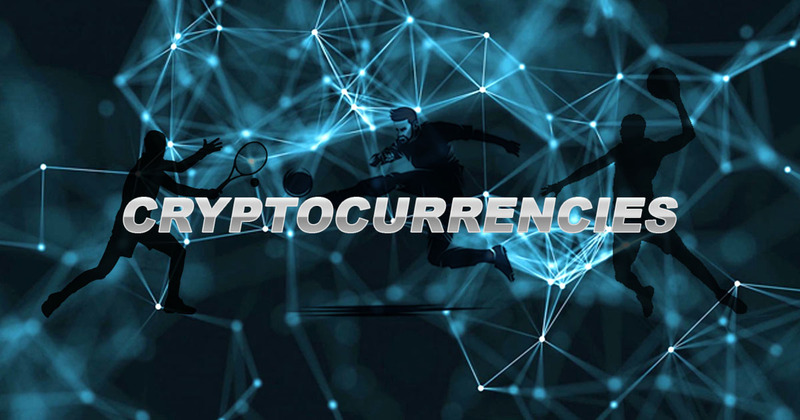 Fiat-only sports betting sites started to include Bitcoin to its payment options, so bettors can now find more sportsbooks that accept the crypto.Punters can also freely transfer their Bitcoin to most exchanges and turn it to fiat or a different digital currency. Almost every crypto exchange site accepts Bitcoin. Because of the increase of Bitcoin transactions, users might experience delays when sending and receiving cryptos. Sometimes users have to pay as high as US$1 so that miners can prioritize processing all wager transactions. At the same time, no one can say, however, if Bitcoin’s price will return to US$20,000 or further plunge to $1,000 once again. Punters may hesitate to wager real money that may worth two or three times its value in the future. Bitcoin Cash resulted from a hard fork from Bitcoin in 2017. Although it shares the same characteristics with Bitcoin, this altcoin boasts better features that new and long-standing crypto users can appreciate. Compared to Bitcoin’s 1mb block size, Bitcoin Cash allocates 8mb so that miners can quickly process more transactions. Users also enjoy little to no transaction costs by using this digital currency. Bitcoin Cash is still considered a new cryptocurrency, having been launched only in 2017. Because of this, only a few sportsbooks accept it as a mode of payment. There are also a limited number of exchanges and wallets that allow punters to turn their fiat or other crypto coins into Bitcoin Cash. Ethereum is powered by the smart contract blockchain network. Smart contracts allow developers to create applications that utilize the autonomous nature of the network. Many start-ups have also used Ether’s network to finance their ventures through initial coin offerings. Ether provides faster transaction speeds than Bitcoin because of Ethereum’s Ghost Protocol. The altcoin’s block time is set to only 15 seconds while Bitcoin’s block time can take 10 minutes or longer. This cryptocurrency is best known for its stability as well. The value of Ether does not experience any dramatic plunges or rises like Bitcoin does. At the same time, Ether is easily available for trading in many crypto exchanges. Although Ethereum launched earlier than Bitcoin Cash did, Ether is accepted only in few online bookies. This is because the network is primarily intended to be a platform for smart contract apps and not as a currency. Unlike Bitcoin’s decentralized nature, Ripple is more centralized. This makes it easy for the Ripple network to go through an upgrade without resorting to a hard fork. Ripple has a very low transaction fee of only 0.00001 XRP, which is less than one US cent. XRP cryptos used in transaction fees are burned or are removed from circulation to lessen the amount of Ripple supply. The dwindling supply can increase the value of the cryptocurrency in the future. Much like Ethereum, there are only a handful of gaming sites that accept Ripple. There is also the question of its value which reached US$3 only in January and dropped to less than US$1 in February. While this may seem like an advantage for some bettors, others might not be interested in a cryptocurrency that might not increase in value as dramatically as other digital currencies. ERC20 tokens are currencies used for online betting sites that are powered by a smart contract network. A good example of an ERC20 token for sportsbook is eGold from UltraPlay. Cryptocurrency tokens based on a smart contract network are cheaper and faster than other digital currencies like Ethereum and Bitcoin Cash. The advantage of ERC20 tokens come from the decentralized platforms in which the altcoins are used. The platform provides the transparency between sports betting market providers and punters. The smart contracts that operators use for their sportsbooks are open to the public wherein anyone can audit the contracts or prediction algorithm anytime. Unlike other cryptocurrencies, tokens can only be used on specific websites. At this time, only some types of tokens can be turned into other digital currencies in certain exchanges. These are just five of many cryptos that punters can use for sports betting. With many sportsbooks accepting Bitcoin and a large variety of altcoins, punters can find the right digital currency that suits them.